During my exams, I day-dreamed of the glamour of summertime. The sunshine, the sea, the sand. I had visions of all sorts of idyllic day-trips and long nights to come. So far, it hasn't worked out that way. The highlight of my week was the purchase of a high intensity pressure-washer. Much to my mother's delight, I offered to give it a go, given my new free schedule. The satisfaction of disapearing dirt was pleasing in itself, but the artist in me couldn't resist getting creative. Thus, the dragon was born. 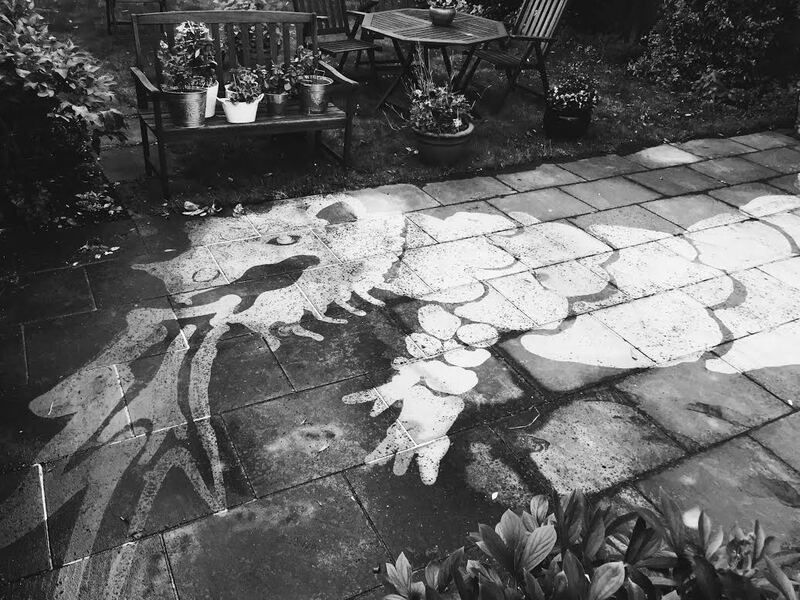 Yes, I actually used a garden terrace pressure washer to create a piece of art. Yes, I am actually writing a blog post on it. No, I have definitely not run out of ideas. All jokes aside, it feels so good to be blogging and getting creative again (even if it is only with high intensity garden tools). This is the coolest thing!!! Glad to see you back blogging lovely! As with any trade, a contractor entering into the pressure washing industry has their sight on one primary goal. That is to make money and LOTS of it. 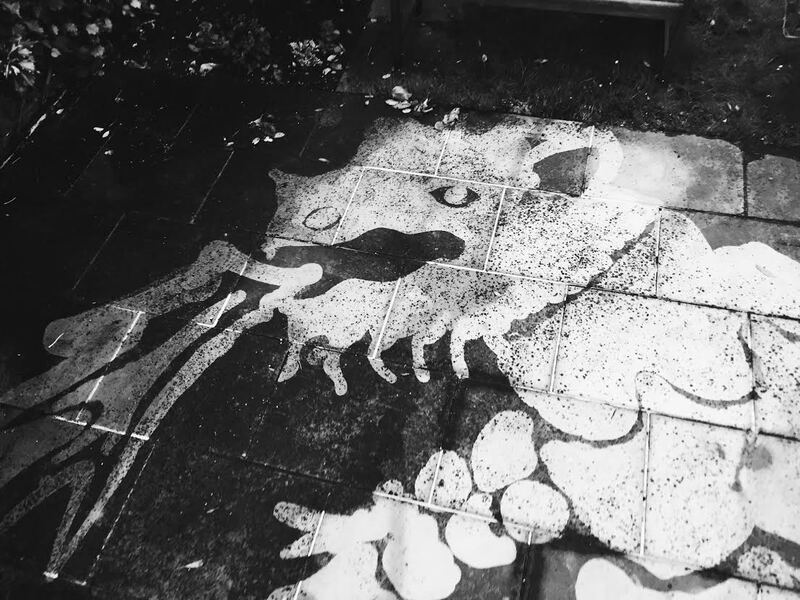 Pressure washer is amazing! I had never seen. it is a very smart thing to do. Keep on leading the way towards educating the masses. The coarse texture of the concrete, gravels, and stones of the patios enables a lot of dirt and debris to get trapped into it. Pressure cleaning is required to clean these deeply embedded dust particles RESIDENTIAL PRESSURE WASHING SERVICES.